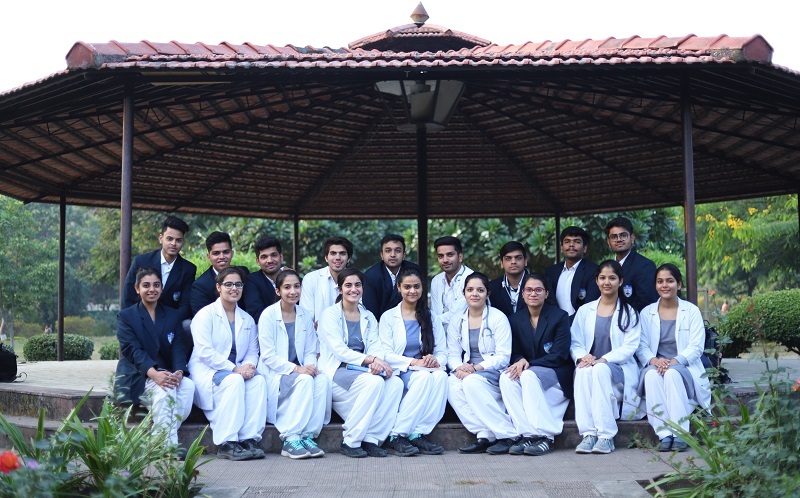 The MBBS programme provides excellent academic opportunities to students to grow into outstanding, compassionate, and ethical doctors. The robust curriculum is regularly updated to ensure it is contemporary and competency based. The integrated teaching programme at our institute offers an interactive platform to learn through specially designed modules that integrate basic sciences in clinical context. The faculty ensures that the students are mentored and nurtured in a caring environment. The curriculum not only has slots for academic activities but also caters to the overall development of the students. The on campus sports facilities and the ‘Humanities wing’, through its various clubs, offers opportunities for exploring the literary acumen .The debating, photography, dramatics, poetry, social services and music clubs offer opportunities to witness the amalgamation of science with art. Annual sports and cultural events showcase the year long activities that keep the students meaningfully engaged and motivated.